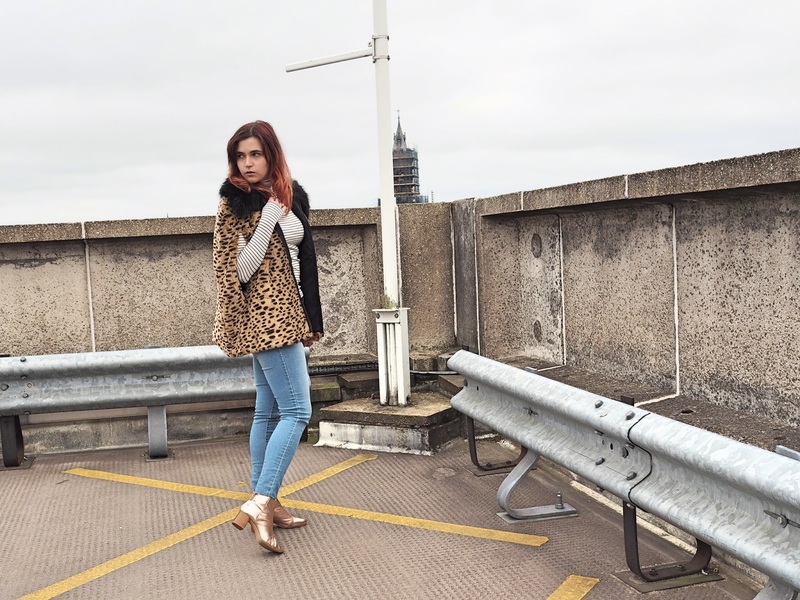 So we're into December and this is the first outfit post featuring a faux fur coat! A bit crazy considering I've been wearing all kinds of cosy coats lately, especially since we've had two bouts of snow already, but I actually shot these photos a couple of weeks ago and have just been struggling to put a post together. I went through the photos, edited them, got them all ready to go but they've been sat in a draft post ever since. So if you've noticed my absence lately, ain't nothing wrong, I just hit a bit of a rut and was feeling kinda unmotivated. I've been super busy with other things in my life which I had to prioritise, which in itself has now given me inspiration for this post. Blogging is hard. 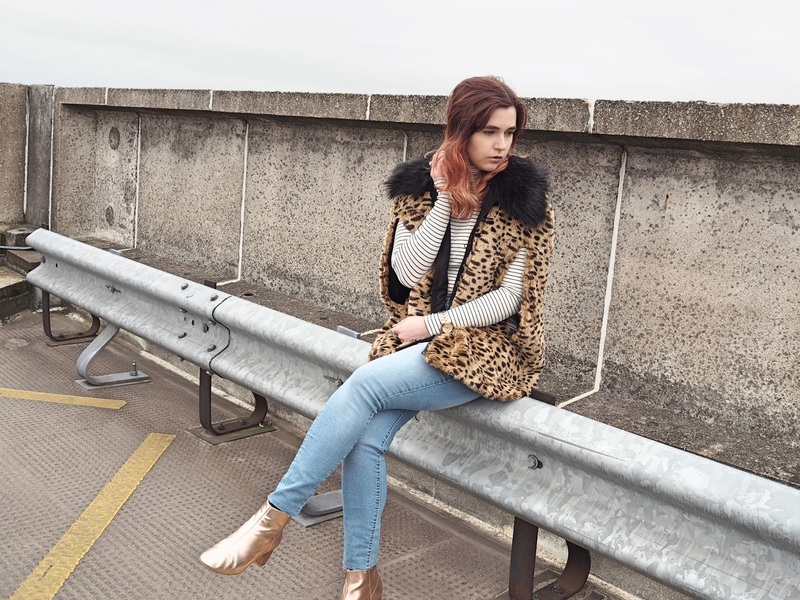 When I started blogging a year ago, I had just finished university and wasn't working so could dedicate all the time I wanted to getting the right photos (I didn't, they were terrible looking back, but we live and learn hey). But with blogging, time is everything. Now, I work a full-time 9-5 and especially in winter when it gets dark at 4pm, and the weather is (almost always) terrible, finding the time to get half decent photographs can be a struggle, never mind the time to brainstorm ideas, write posts, compile them, schedule social media posts, etc. etc. I can never find enough time to read all the amazing blogs I follow! This is certainly not a ~woe is me post at all, I choose to blog, I enjoy it and I don't want to dedicate my time to anything else right now. This is just me getting things of my chest and saying 'it's ok to take a break'. If things get too much, if you're really busy with personal things/health issues/work stress, just stop. Don't force yourself to stay up late to finish that post because it will wait. It will still be there to publish tomorrow, next week, at the end of the month. The kind of people who you want reading your blog will still be there. Put your laptop away, put the face mask on and get in the bath with that lush bath bomb you've been saving for a special occasion. Me time is the most important time. 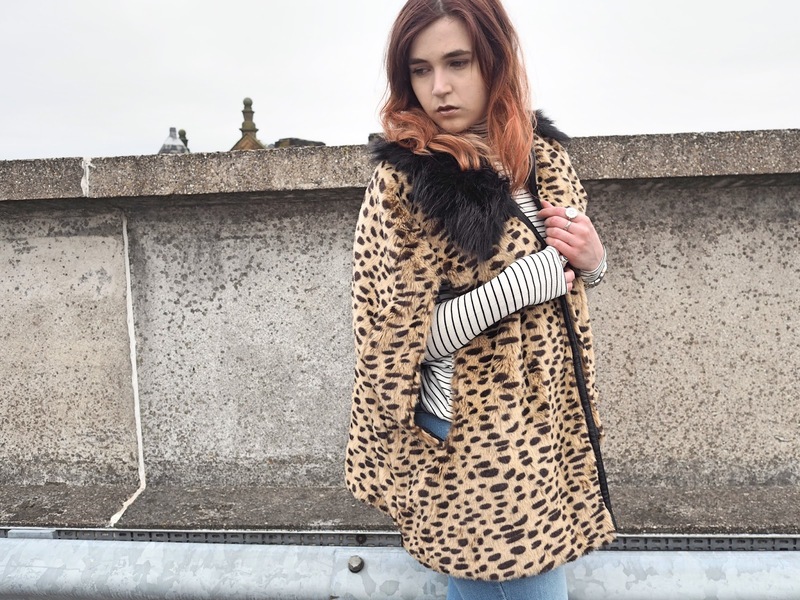 I picked up this coat in the January sales at the start of this year and it's the softest faux fur I own! Being a cape, it's maybe not the most practical for winter with the bare arms and all, but I love it! 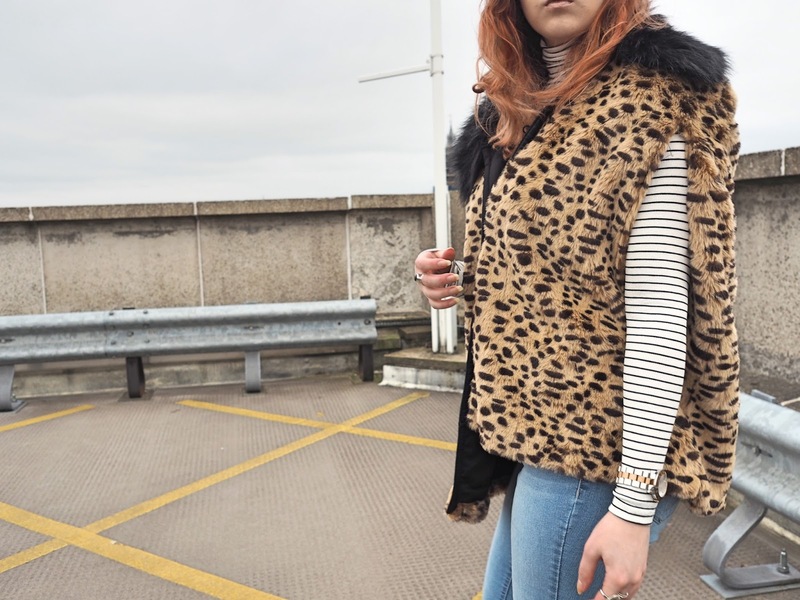 It's that spotted kind of leopard print that's just a touch different and I loved the idea of putting it against another pattern, just a simple one like the striped top. 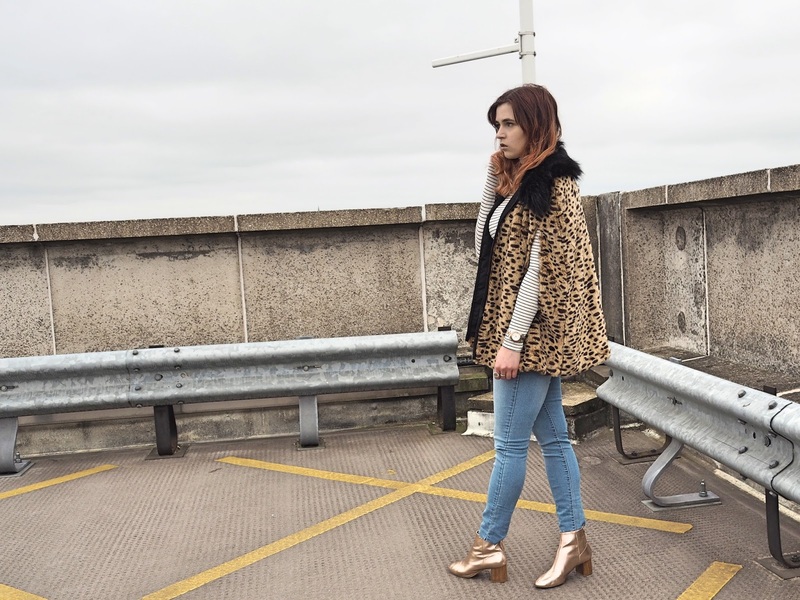 And who doesn't love a pair of rose gold boots?! I lusted after these for so long and when I spotted them in the sale a few weeks back had to get them!